Set in the village of Chandrabhaga in Puri District of Orissa, Chandrabhaga Beach is considered one of the finest beaches along the eastern coast of India. 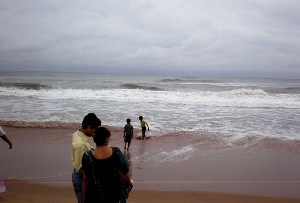 The beach is located at a distance of 3 km from the World Heritage Site – Konark Temple. 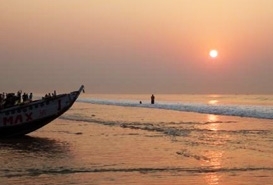 The beach holds great importance in the cultural and traditional identity of Orissa. Chandrabhaga Beach is believed to have witnessed the rise and fall of the Konark Temple. Because of the cultural importance it holds, many cultural activities are held at the beach. Chandrabhaga Mela, which is a seven day fair, is organized at the beach to honor Lord Surya. 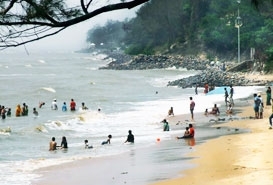 Chandrabhaga Beach experiences cool and pleasant weather throughout the year. So, the beach can be visited anytime in the year. However, the best months to visit the beach are February, October, November and December. There are a number of hotels and resorts near Chandrabhaga Beach which offer comfortable accommodation. Mayfair Heritage, Hotel Holiday Resort, Hotel Vishal Plaza, Hotel Naren Palace, Hotel Gandhara and Hotel Santana are some good accommodation options near Chandrabhaga Beach. Chandrabhaga Beach leaves no foodie disappointed. There are many refreshment stalls and restaurants near the beach where tourists can enjoy lip smacking dishes from different cuisines. Some famous restaurants near the beach are Kamat Restaurant, Santoshi Restaurant, Deluxe Restaurant, Geetanjali Restaurant and Santi Restaurant. 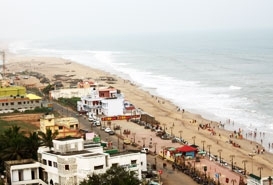 Chandrabhaga Beach is well-connected to different parts of the country and the world via air, rail and road. Puri is the nearest airport and rail head to Chandrabhaga Beach which is situated at a distance of 31 km. State and private buses operate from different regions of Orissa and other parts of the country to Chandrabhaga Beach. People can also hire private taxis to reach the destination. Apart from the pilgrimage and cultural activities, tourists also have an option of enjoying beach activities like sun bathing, surfing, swimming and many more.